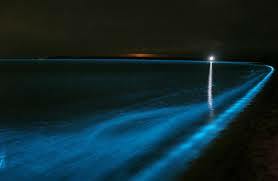 These are the Gippsland Lakes in Queensland, Australia and the man in the water has turned into a human glow stick thanks to a chemical reaction called bioluminescence, which happens whenever a naturally-occurring algae in the water is disturbed. During 2006 forest fires dumped large amounts of nutrients into the lakes triggering the rare algae to go forth and multiply. 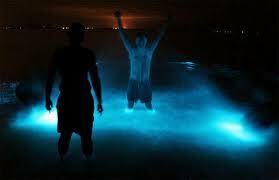 It’s highly unusual to see this concentration of bioluminescent organisms anywhere in the world. For a few days one lucky photographer, Phil Hart documented the event. 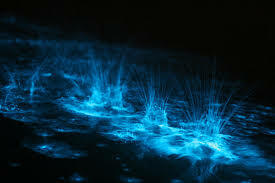 The algae has since gobbled up all the food, and died meaning it maybe some time before this magical display of nature’s unexpected beauty is seen here again.